I may have not posted too much on iray for as much as I'm really liking it. So here is another iray post. Ok, for many applications, iray has become my second favorite rendering engine next to mental ray. For many reasons it can really be much better. If the scene fits into your GPU memory, then it is almost always faster than mental ray or vray. DOF is free, meaning it doesn't slow down the rendering eninge. There aren't any irradiance maps, photon maps, final gather maps, or light cache maps to calculate or read from. Which can take a lot of hassle out of the design -> production process. iray | 1200px X 600px | 10 min. 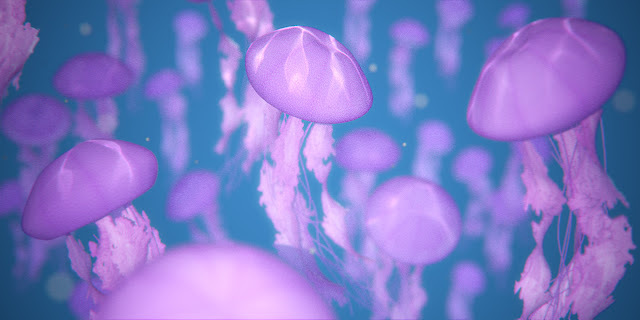 So about a year ago my son and I were watching Finding Nemo, and during the jellyfish sequence, I thought, I would love to try to tackle those fish with my own rendering. I also wanted to get something similar using iray. So here is a little breakdown of my homage to Pixar. So I started off with a single jellyfish itself. It's no more than a sphere for the head, and a series of planes and splines for the tentacles. The image on the left is the texture that I created for the head. 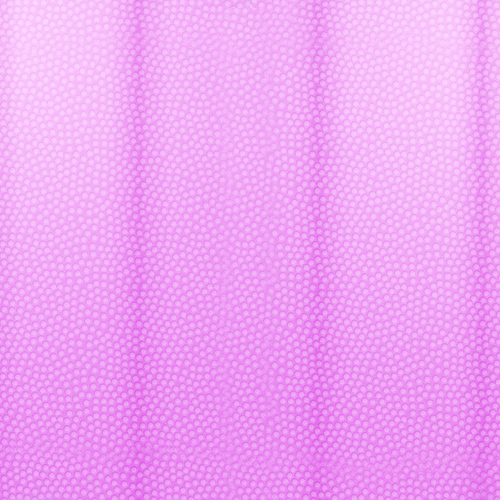 I found a texture of a basketball for the bumps, then recolored it in photoshop to give it that purply-stripy look. 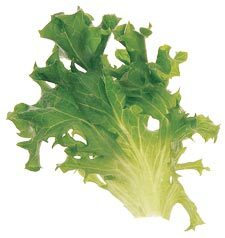 For the broad tentacles I wanted something that looked leafy, so I thought I could use a lettuce texture as reference. I looked for something that had a vein quality to the leaf. 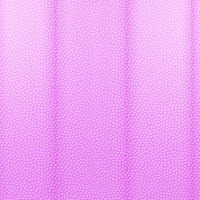 So I took this leaf texture into Photoshop, copied it several times to create a tentacle arm, colored it using Hue/Saturation with the Colorize option checked until I found a pinkish-purple hue that matched the jellyfish head. I then played with the brightness/contrast to make the veins really pop. So I could have spent alot of time modeling this tentacle, but instead I just projected this texture onto a plane. So I also created a cutout-alpha channel map to control the opacity of the plane. So to really make the tentacles look more natural, I added a twist modifier to give it the appearance that it was thin and fluid. Then I added a shell modifier to give it some thickness. Then finally I added a bend modifier to give it the impression that they were being pulled by the head of the jellyfish. I gave the jellyfish multiple tentacles, and added some strands simply by using some splines. Then to complete the jellyfish, I grouped it and added a bend modifier to the whole fish to really give it the impression that it's moving and swimming in water. Here is a view from the camera showing what the rendering will look like. I intended to use DOF, so my field of view was very shallow with a focal length of maybe 80-100mm. 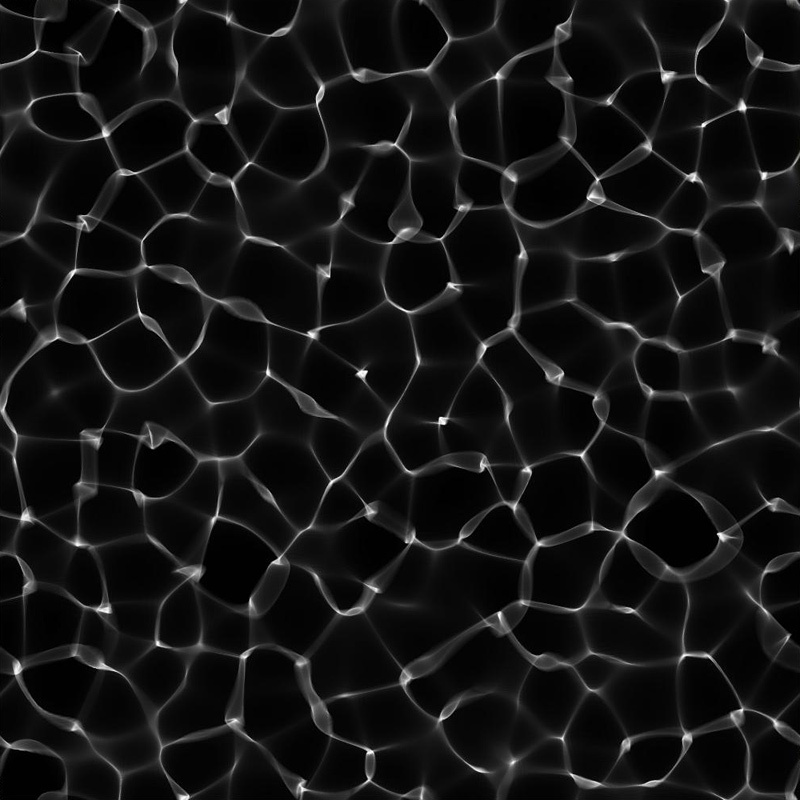 I also added some particulate to simulate particles in the water. They were simply low poly spheres that were placed at varying distances to give the illusion of depth. They don't look like much in the viewport, but with DOF make a big difference in the overall environment. For the caustics, I actually faked it with a neat trick. I created a plane that sat on top of the jellyfish. I applied an A&D material to the plane that had a caustics texture map to control the cutout opacity. I used a program called Caustics Generator, that creates fake caustic texture maps. 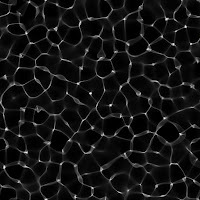 It can also create image sequences of moving caustics, which is great for animations. I then created two spotlights above the plane so that light would only be cast through the caustics openings simulating a caustics look. I also created a light from behind the camera to give it a photographers flash look. So it felt that the lighting was coming from the camera itself. One, more thing. I did try this scene out with mental ray, and it was crazy slow compared to iray, especially with DOF turned on, running over an hour long. Even though I love mr, this was an example where iray was much better. Much like a mechanic has different tools to fix a car, so should 3D artists be familiar with all of their tools to get the job done correctly. Mental ray, Vray, Maxwell, and Iray are all great render options, but there is usually a best option depending on the situation, so don't ge too attached to a rendering engine...technology is changing too fast for that! thats really cool, I am now following you! I am working on a jellyfish scene myself, and am hoping you could give me some advice. My background is dark so I am having problems with making them glow as well as giving them translucency. The renders are looking very flat and dull as if done in illustrator. I am working on it in maya and was wondering if you could give me some tips on how to tackle texturing my jellyfish? Thank you! lighting will help it look less flat. You may want to play with adding a light under the fish or even behind if you want to give that translucent look. Perhaps even add a light emitting material on the fish themselves.